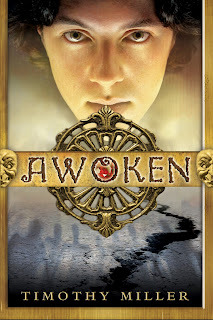 The Cover Contessa: Cover Reveal: Awoken by Timothy Miller! Cover Reveal: Awoken by Timothy Miller! A new release coming in August 2013 from Spencer Hill Press! Sounds so good! I think this one will be a good one for my son and I to read together!!! Oooo, this looks and sounds good!